Welcome to KF5IW.com, the official website of the KF5IW DMR repeater serving Fort Myers, Florida and vicinity. KF5IW is an open repeater owned and operated by Jim Blocker KF5IW for the benefit of the local Southwest Florida Amateur Radio community. The repeater is not affiliated with any club, nor are any dues required to use the repeater. KF5IW is part of the K4USD DMR network providing local, regional, national and international connectivity. Most DMR-MARC talkgroups are supported and neighboring Southwest Florida repeaters are linked on Talkgroup 2. 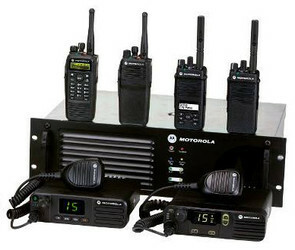 A Tier II 70cm DMR handheld or mobile transceiver is required to use the repeater. Suitable radio equipment is available from a variety of manufacturers sold by numerous dealers. A Tier I radio is incompatible with KF5IW and use of such equipment will result in you being banned from the repeater. Every morning we automatically generate a new worldwide digital contact list compatible with the Anytone AT‑D868UV and AT‑D878UV handheld transceivers. Now you don't have to mess with downloading the DMR ID database and manipulating it with your favorite spreadsheet program! When we're not busy talking on DMR, we're working on some interesting DMR-releated projects! Please join us 7:00PM local time on KF5IW Local 2 / SW FL for the Southwest Florida DMR net! We will have important announcements regarding DMR, as well as take your comments and questions.